PumpMeter. Gain a deeper insight into your pump. Is your pump operating in an efficient and cost-saving manner? 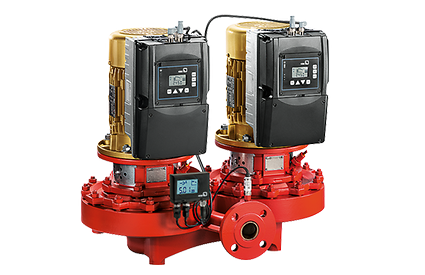 The innovative PumpMeter pump monitoring unit identifies the current operating point and measures all key data of the pump. Its EFF energy efficiency icon signals potential for energy savings. 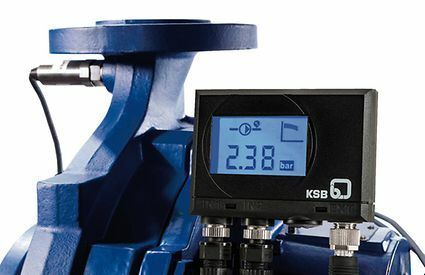 KSB's PumpMeter clearly shows you whether your pump is operating in its optimum. It measures the suction and discharge pressures of your pump around the clock and establishes the pump’s operating point based on the differential pressure. 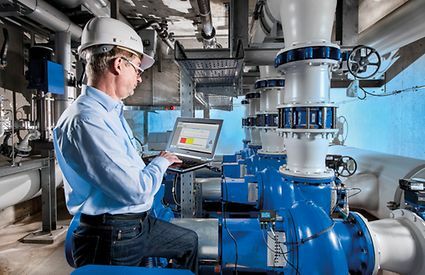 The direct connection to your process control system allows you to have central access to all relevant data. This helps you decide on where to implement optimisation measures and save. PumpMeter replaces the pressure gauges upstream and downstream of the pump, the pressure transmitter for the control functions, as well as any additional monitoring equipment. The direct connection to your process control system allows you to have central access to all relevant data. This helps you decide on where to implement optimisation measures and save. If PumpMeter indicates optimisation potential, then it's worth doing a Pump Operation Check. KSB’s energy efficiency experts use the load profile measured by the pump monitoring unit as a basis and provide concrete recommendations for action to increase the availability and efficiency of your pumps. Contact us: it's quick and easy. More information on the use of PumpMeter is available for download here.